This deck is marked, stripped and stacked. Instantly pull pre-selected cards from a shuffled deck and be able to name the location of any card at any time. We don't like to brag, but you might with the countless card tricks you play with this deck. Card deck is a poker size deck. Theodore DeLand created a phenomenon of packet tricks between 1906 and 1915; including the Marked Deck, Nifty Deck and the Card Locator. 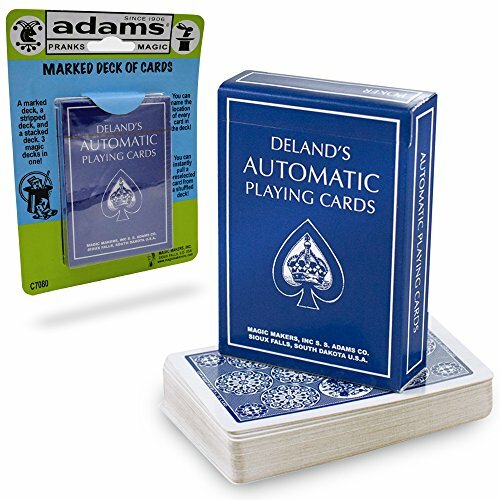 In 1919, Adams struck a deal with DeLand and began producing his tricks with great success that still continues today.